Car Repossesion Archives | Florida Law Advisers, P.A. Clients will commonly ask us how to stop car repossession. Often, filing for Chapter 7 or Chapter 13 bankruptcy protection can be used to stop car repossession. When a bankruptcy case is filed, it immediately stops any form of repossession. Regardless, how late payments are or how high the outstanding balance is, repossession will be stopped. In addition, the bankruptcy chapter you file can make a large impact on what options are available for keeping your car, including paying less on the loan & interest rate, or simply getting rid of the car payment obligation all together. 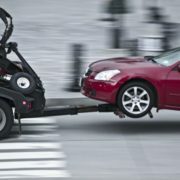 For more information on how to stop car repossession contact a bankruptcy attorney in Tampa to schedule a consultation. Chapter 13 is the most common option for borrowers seeking to stop car repossession. The Chapter 13 option allows a owner to have up to 5 years to pay off the car loan. In many cases, 5 years is enough the time for the owner to catch up the payments. Additionally, by spreading the payments over a new 60-month loan it helps reduce monthly payments. The 60 month loan is often a vital tool borrowers can use when trying to figure out how to stop car repossession. Most of the time, the interest rate applied is around 6%. In addition to an interest rate reduction, a “cramdown” can reduce the total loan balance as well. The cramdown option essentially pays the value of the vehicle, instead of the total balance on the loan. To be eligible, there is a “910” rule stating that the purchase of the car must be at least 910 days (roughly 2.5 years) prior to the filing date of the Chapter 13 bankruptcy petition. See bankruptcy law 11 US 1325. If you purchased your car more than 2 & ½ years ago, this option will likely help you budget to keep the car with a much lower payment. In Chapter 7, there is no 910 rule, so you won’t need to wait 2.5 years to use this option. For more information about the 722 redemption or ways how stop car repossession contact a bankruptcy attorney in Tampa. If you are at risk of losing your vehicle to repossession contact Florida Law Advisers to speak with a bankruptcy lawyer. We are a customer service oriented bankruptcy law firm committed to providing personalized attention and dedicated legal counsel. We provide trusted legal counsel and work hard to provide our clients with the fresh start they need and deserve. All of our initial consultations are free and convenient payment plans are available. To speak with a bankruptcy lawyer in Tampa now or schedule a free consultation call us today at 800 990 7763. Repossession of a vehicle is an unfortunate situation too many people suffer. If a borrower fails to make timely payments for a car loan the lender may begin the repossession process. See Florida Statute 537.012. For many, cars are essential to getting to and from work, school and repossession can have devastating consequences. Moreover, missed payments can lead to the bank initiating repossession without even providing notice to the borrower. Fortunately, there are options borrowers who need to stop car repossession in Florida. If you received threats of a repossession contact a bankruptcy attorney for legal advice right away on how to stop car repossession in Florida. An experienced Tampa bankruptcy attorney may be able to prevent the car from being repossessed and help you keep your car. If you have defaulted on a car loan, the lender usually can have the car repossessed without notifying the owner. See Florida repossession laws. When this happens, bankruptcy can help stop the repossession and have the car returned. The moment bankruptcy is filed an automatic stay goes into effect. The stay is a common solution for borrowers seeking to stop car repossession in Florida. The automatic stay forces creditors to cease all collections attempts against you. This means, creditors cannot continue to call you, continue with a lawsuit, repossess, or foreclose on your property. In this situation, timing is everything. If you may soon default on a car loan and need help with how to stop car repossession in Florida, it’s important to speak with a Tampa bankruptcy lawyer before your car is repossessed. If you want too long the automatic stay may not be able to help. Borrowers generally can file for either Chapter 7 or Chapter 13 bankruptcy. A bankruptcy lawyer in Tampa can provide options for how to stop car repossession in Florida and help advise on which form of bankruptcy may be best for your specific situation. Chapter 7 is a liquidation bankruptcy. Thus, in a Chapter 7 you may be required to sell certain assets as part of the bankruptcy. On the other hand, Chapter 13 is a restructuring bankruptcy, instead of selling assets to pay creditors you create a payment plan to pay back the amount owed. For more information on the differences between Chapter 13 & Chapter 7 bankruptcy call us at 800 990 7763 to speak with a bankruptcy attorney in Tampa. Chapter 13 is just one tool to stop car repossession in Florida. At Florida Law Advisers, we understand filing for bankruptcy can be a very confusing and intimidating process. That is why we work so hard to make the process as easy as possible for our clients. When you hire Florida Law Advisers, P.A., you get an experienced bankruptcy lawyer in Tampa by your side every step of the way. We will help ensure your rights are protected, keep you well-informed, and help you receive the most benefits bankruptcy can offer. To schedule a free consultation with a Tampa bankruptcy attorney call us today at 800 990 7763.